All events for Open Writing Hours Today! 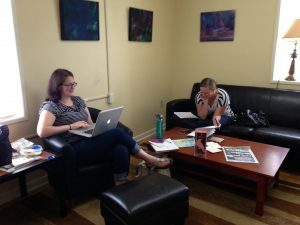 WriterHouse will be offering the volunteer operated Open Writing Hours today. Come in and enjoy a nice quiet place to write, meet with your writer friends, and have a cup of coffee on the house. Want to see more open hours? We do too! Become a volunteer for WriterHouse today to help us promote the creation and appreciation of the literary arts in your community.